A narrative centred on the opportunities of low-carbon innovation rather than the costs of tackling climate change could yet unite stakeholders in the debate over a 2030 EU climate and energy policy. Technological and non-technological innovation are needed for Europe to create a competitive, secure, low-carbon future. 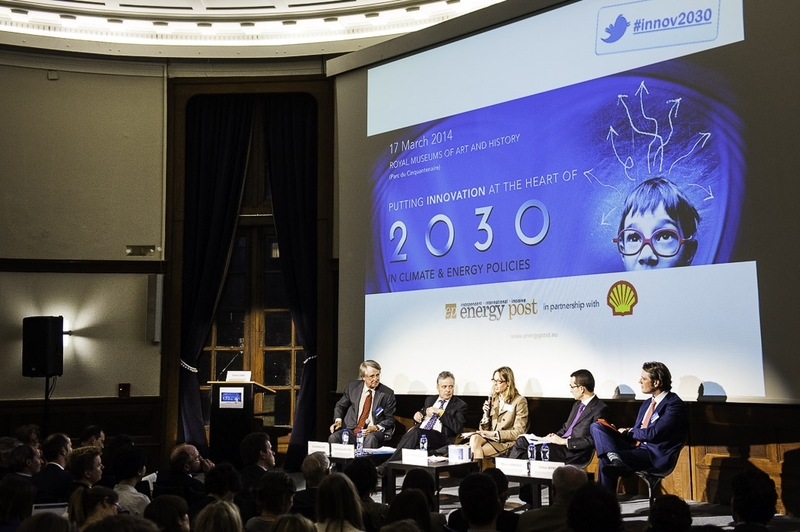 At its first event in Brussels, held in partnership with Shell, Energy Post explored what kind of a 2030 package would do most for innovation. 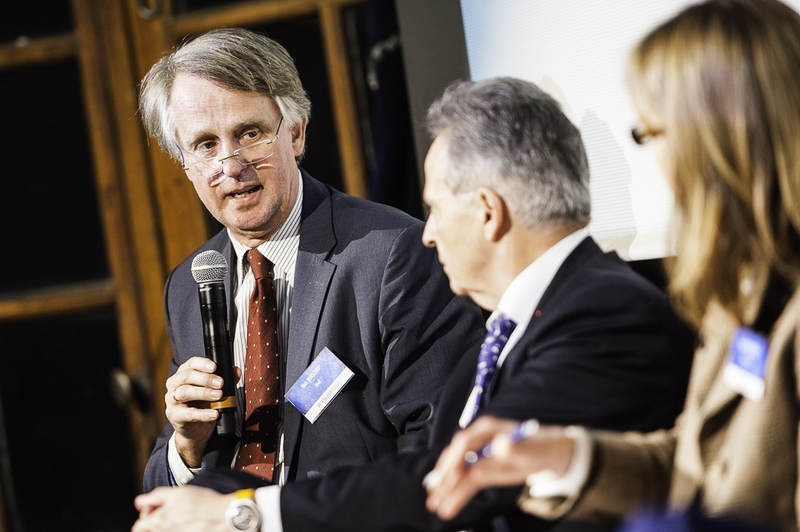 Clarke was speaking at Energy Post’s first event in Brussels on 17 March, organised in partnership with Shell. The debate centered on this question: what kind of a 2030 climate and energy policy would do most for innovation? Innovation is a unifying narrative that cuts across the climate, energy and industrial competitiveness dimensions of the 2030 debate. Without it, the EU will not meet its goals of providing a secure, competitive and sustainable energy supply, Clarke said. He identifies three innovation challenges: cost reduction (for the newest technologies such as marine energy); building investor confidence (to get funds flowing to the big “set pieces” such as carbon capture and storage (CCS) demonstration plants); and new business models (to engage the consumer and tap into energy efficiency opportunities). Is it worth doing? 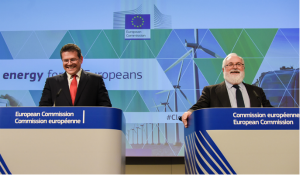 The UK could save 1% of GDP out to 2050 by innovating in the energy sector, said Clarke – and he suspects the same is true for the rest of Europe. A greenhouse gas emission reduction target and a reformed EU ETS “could and should” be the main driver of low-carbon innovation, believes Dominique Ristori, the European Commission’s new Director-General for Energy. “40% is an ambitious target because we will have to pass from 20% to 40% in ten years,” he said at the Energy Post event, adding: “One point is crystal clear: there is no possibility to be successful without investing more in science, research, innovation and technologies.” Europe needs to become much better at turning its basic research into commercial opportunities. Energy-intensive industries remain nervous however: “High energy prices and the unilateral cost burden of EU climate and energy policies are crippling European producers’ ability to compete,” wrote the European Aluminium Association to heads of state on 17 March. 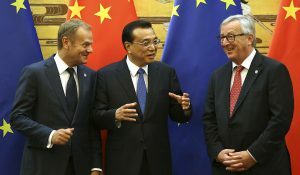 “I think at this stage, the Commission’s proposals for 2030 do not really unite industrial, innovation and climate policy,” said Tomas Wyns, a researcher at the Institute for European Studies at the Vrije Universiteit Brussel. The EU faces a growing productivity gap with the US, as well as decreasing private and public R&D spend relative to other parts of the world. The European Round Table of Industrialists (ERT) – a forum of some 50 chairmen and CEOs of leading multinationals in Europe – warns in a new report on energy innovation that “the lack of coherency in energy, climate change and industrial policies at the European and Member State levels mean there is little visibility for industry investments which often require 10, 20 or 30-year outlooks”. 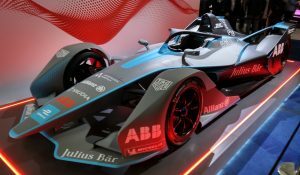 Europe needs to get industrial “breakthrough” technologies from lab to market within the next 10-15 years to have a chance of cutting emissions by 80-95% by 2050, Wyns says. Energy-intensive industries are hard at work, led in particular by the paper sector, which was first with its own low-carbon 2050 roadmap and has since held an innovation competition. 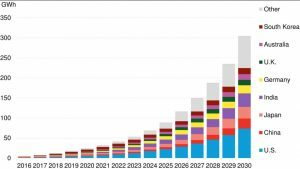 But public support is needed and stakeholders across the board want the existing “NER300 mechanism” (which reserves a number of carbon allowances to sell to raise money for CCS and renewables) to be extended, expanded (also to energy-intensive industries), and used to fund innovation. The Commission is currently re-visiting its energy R&D priorities in a review of the EU’s Strategic Energy Technology (SET) Plan. It plans to issue an “integrated roadmap” in the summer that addresses “all key technologies”, in the words of Ristori: supply, storage and demand. 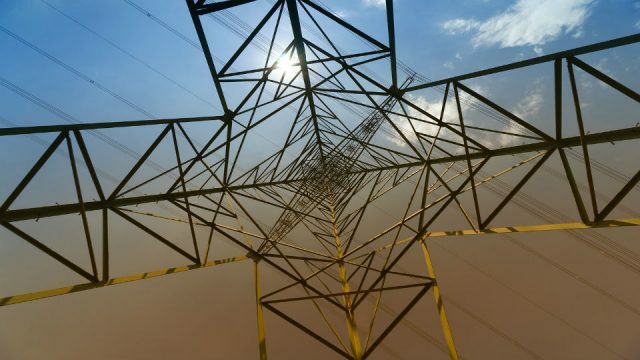 Energy innovation can be many things, from solar and wind power to energy-intensive industries playing a role in managing the grid through demand response. Germany’s biggest aluminium producer is already using the Energiewende to build competitive edge in this way. 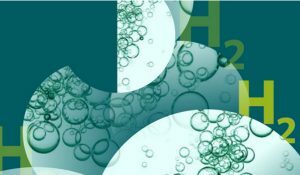 It can also mean getting demonstration-scale plants up and running for CCS, or innovative uses of gas, hydrogen and biofuels, or indeed the roll-out of smart grids. The 2030 climate and energy package will be the main priority for the incoming Italian EU presidency, which takes over from Greece in July, said Marco Landolfi, Coordinator for Energy, Transport and Telecoms at the Italian permanent representation to the EU, at the Energy Post debate. There are still big unknowns – such as what the Commission will propose on energy efficiency and transport – but heads of state and government at their March summit called for a decision on the 2030 package by October. The big debate is over targets, which have a role to play, but apparent details such as the NER300 and how the 2030 package fits with other policies on R&D, grids and reviving Europe’s general investment climate for example, are just as important to its long-term success.